Who would have thought, a Lion and Rhino exist just outside Metro Manila! Yeah you read it right. Lioness and a Rhinoceros rock formation are found in Bigte Norzagaray Bulacan. Imagine a naturally made figure through thousand of years of erosion and corrosion has formed into one of nature’s largest mammal and the second largest cat in the world. It was an easy travel to the Jump off. From Bigte Tricycle Terminal, ride a a tricycle going to Upper Bigte ( ask the tricycle to drop you off near Iglesia ni Kristo ). Fare ranges from 10-15 depending on how many you are in the tricycle. At first, we thought it was an easy climb. It started with easy trekking behind the houses of the locals and near the Iglesia ni Kristo Church. Of course, a lovely young lady helped us to find the way up. Thanks Jenny! It was pure Rock Climbing. I can say that most our time spent there was 80% rock climbing, 10%sitting, 10% figuring out why the hell we climbed this treacherous mountain! When we arrived on top the hill, there were many climbers alike taking pictures and basking to the joy of climbing such steep facade. So we just left them there, while we head down and visit the Rhinoceros rock formation seen from a far. We trek a couple of meters and saw how steep the Lioness Rock was. On our way, tall grass paved the surrounding. we could hardly see the path to the Rhinoceros rock. At Last, Rhinoceros Rock was conquered! After our escapade in Rhino’s Rock we went back to the Lion when other hikers were done there. This is what I felt when I climbed up to the Lioness Rock. I couldn’t contain the fear and excitement all at once! I manage to climbed up to the edge of the Lion but was scared to climb on top because it might dislodge the rock. Just recently, pinoymountaineer wrote an open letter to SPAR Development Corporation for planning to close down Lioness Rock and Rhino Rock to public. I, too hold the same sentiments. 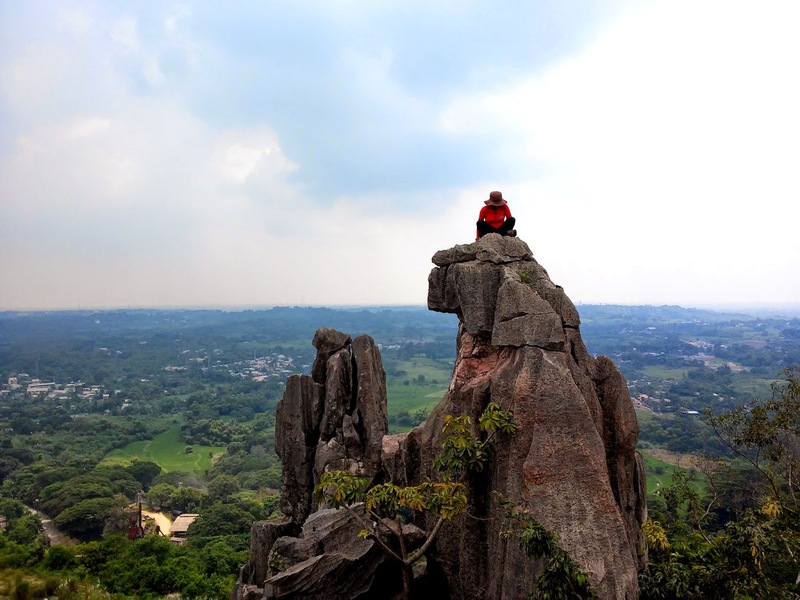 This small but very significant rock formation in Bulacan hold a unique beauty that the province can be proud of. One can imagine what this company would to to this marvel if it will be closed down. Let our voices be heard in saying SAVE THE LION AND THE RHINO of Norzagaray! Thank you!. will be updating this post to promote the page. thanks! Is it still closed to the public?